Raif Badawi — whose wife and three children live in Quebec's Eastern Townships region — was honoured with the award as a symbol of the fight for freedom of speech. The announcement was greeted with a standing ovation Thursday at the European Parliament assembly in Strasbourg, France. "I urge the king of Saudi Arabia to free him, so he can accept the prize,'' Parliament President Martin Schulz said. On Wednesday, Ensaf Haidar, Badawi's wife, said she has information that her husband's flogging is set to resume. 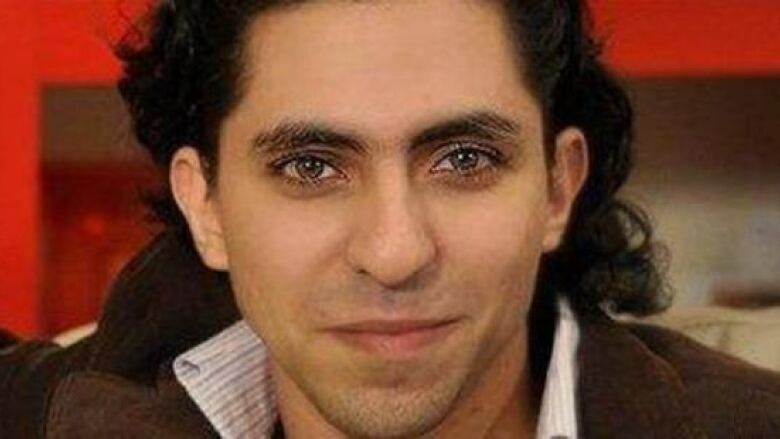 The punishment was suspended after Badawi received the first 50 lashes in January. Haidar also called on Canada's prime minister-designate, Justin Trudeau, to resume his earlier support for Badawi. In June, the Quebec government granted Badawi a selection certificate, a first step meant to speed up his immigration process should he be released from prison. Badawi was one of three nominees for the Sakharov Prize this year, along with the Venezuelan opposition movement Mesa de la Unidad Democratica and assassinated Russian opposition leader Boris Nemtsov. "The European Parliament has sent today a strong political and humanitarian message to Saudi Arabian authorities,'' said Guy Verhofstadt, leader of the Liberal bloc. The freedom of thought award is named after the Soviet scientist and dissident Andrei Sakharov. It was set up in 1988 to honour people and organizations who are defending human rights and fundamental freedoms.